Home Features Feature: 5 types of shoes every guy should own! Feature: 5 types of shoes every guy should own! Thanks everyone for the positive feedback on the watch article! Today, I’ll be giving my opinion on the 5 types of shoes that every guy should own, what to look out for, and my personal recommendations for each category. Every guy needs a gym and running shoe. I know, this is kinda ironic coming from someone who doesn’t gym or run, but still, having a nice pairs of kicks would probably motivate you to make use of them! Because they need to be light, comfortable and supportive, these will probably be the most expensive pair of shoes on the list, or in your collection. After receiving feedback that my previous pick, the Nike Flyknit Racer, wasn’t really that optimal for serious running, I went back and tried to find a pair of running shoes that both performs well and look good. I ended up with these – the New Balance Fresh Foam Zante v3 (the NYC marathon version). They are lightweight at 8.4 ounces, well-cushioned with New Balance Fresh Foam cushioning (New Balance’s version of the Adidas boost cushioning), while the bootie construction of the shoe ensures a supportive and snug fit. They are light enough for speedwork, and cushioned enough for longer distances, making these an incredibly versatile pair of running trainers. If you don’t trust me (seeing that I don’t run), trust Runner’s World – the world’s most popular running magazine recently awarded it their Editor’s Choice award. They can be found online and in retail outlets at around $150. If you’re looking for an ultra-comfortable yet still supportive shoe, the Adidas Ultra Boost 3.0 is the king. Nothing beats the Boost technology for cushioning – you’re gonna feel like you’re walking on cushions with these. The Primeknit upper also ensures good support for your foot, making this a viable option for running. Do note though, these weigh significantly heavier than the New Balance’s at around 10.5 ounces, so serious runners should consider the New Balance’s instead. But for gym sessions, treadmill and non-long distance running, these would do perfectly fine. The Adidas Ultra Boost 3.0 comes in a variety of awesome colorways (with the Pride colorway my favourite), and can be found online/carousell/factory outlets for around $200. Athe-leisure shoes are shoes that look like trainers, but more for lifestyle instead of actual running. Typically, these are worn to add a jolt of sportiness into your outfit. Best worn with a T-shirt and casual long pants (joggers, chinos, jeans, etc). They should look good, and be comfortable for everyday walking. Everyone knows the Adidas NMDs – they are all over Instagram at the moment, and seem to be the dream shoe of fuccbois/hypebeasts everywhere. All that being said, the Adidas NMDs are possibly the most comfortable pair of Athe-lesiure shoes you can find, due to the aforementioned Boost outsole, as well as the Primeknit upper for a snug fit. I personally love the triple white NMDs – they just look ultra sleek and clean. The Japanese detailing on the side separates it from the normal “fuccboi” colorways, and overall just looks classier on the feet. They can typically be found online/carousell for $200+. With these, you’ll make a statement for sure. If the steep price tag of the Adidas NMDs balks you, the New Balance 574s is a great alternative. 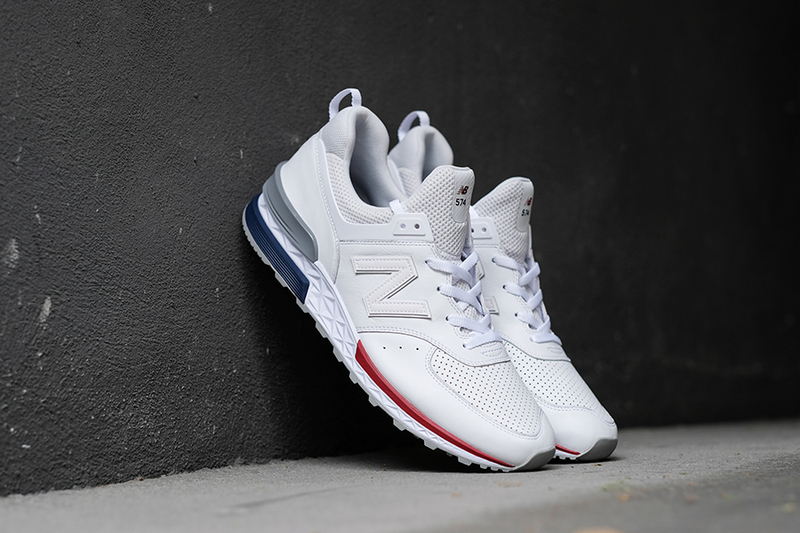 New Balance took it upon themselves to reimagine their classic 574 silhouette this year, updating their 574 lineup to make it more modern looking and possibly more popular with the masses. The classic 574 were THE athe-leisure shoe before the NMDs came about, and for good reason – they looked good, and were extremely comfortable for long-distance walking. With the new update, the comfort remains top notch, but with an updated sleek look profile. Personally, I love the white colorway – they really give the Adidas NMDs Triple White a run for the money. The New Balances can be found online/carousell for around $150. Every guy should own a pair of casual, beater shoes. These shoes are best worn with a tee and shorts/bermudas, and are great if you’re just going with friends to the movie, or meeting for dinner at Macs, etc. They should be durable, and cheap enough that even when they eventually give up on you, it wouldn’t burst your wallet to buy another pair. You also shouldn’t have to worry about them getting beat-up/dirty, as they retain a certain sense of charm even when looking worn out. Lastly, they should be versatile enough to pair with most outfits. Instant classics. I’ve read somewhere that said approximately half of America owned a pair of Converse in their lifetime. Not only are these cult icons (Worn by everyone from David Tennant in Doctor Who to Miley Cyrus), they are also incredibly durable, and more importantly, affordable. A pair of Converse Chuck Taylors can regularly be found for less than $50 online or on Carousell. Even when beat-up, they look great. My personal favorite colorway are these in denim blue – an incredibly versatile pair. Another classic is the Vans Old Skool. Similar to the Converses, the Vans belongs to that sweet spot of stylish, durable and yet affordable sneakers. In this era where NMDs and Yeezys regularly fetch prices of over $200, the Vans remain an amazing budget option. They can regularly be found on Carousell, online, or on the sales rack of their outlets at around $50. 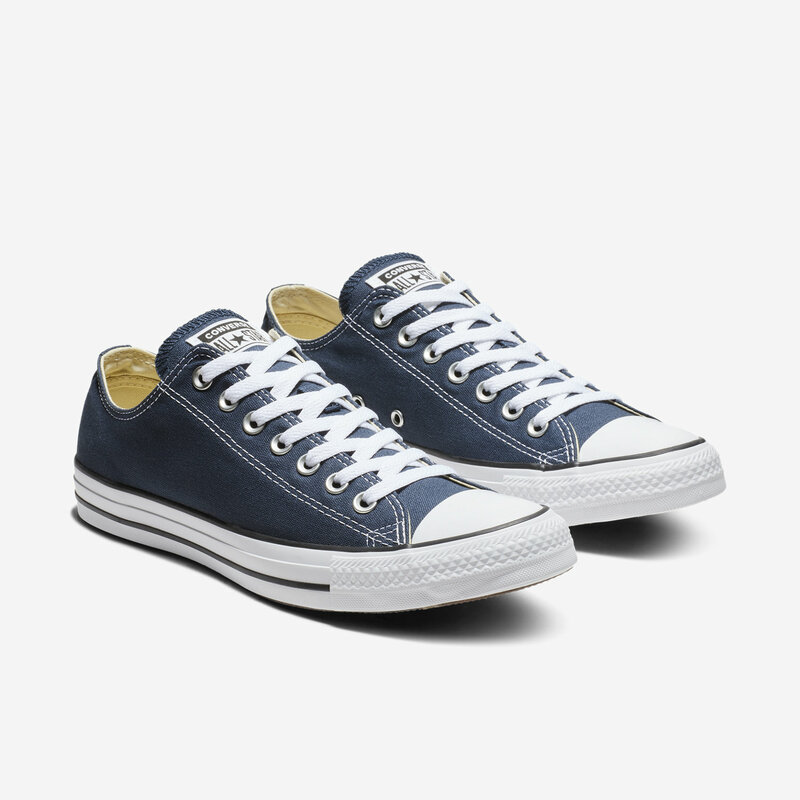 Similar to the Converses, it doesn’t matter if you rough them up – these are a rugged pair of shoes. The Old Skool in black are a casual stunner, and goes well with almost every outfit selection. Often underrated, and therefore missing, every guy should own at least a pair of tennis-inspired sneakers. Tennis sneakers are often clean, minimalist, and great for smart casual use. Best worn with a button-up shirt, and long pants. For some, they can even be worn with a suit, making tennis sneakers an easy pair to dress both up and down. Again, an instant classic. (I’ve a soft spot of classic silhouettes). Clean, minimalist, simple yet sophisticated at the same time, the Adidas Stan Smith have been a mainstay in the Adidas sneaker lineup since the 1960s, and will be for a long, long time. (Mark my words, when the hype and fuss over Tubulars and Yeezys are over, the Stan Smith’s will still be here.) What you’re getting is a timeless design, one that is adverse to the fickle nature of style and trend, sneakers that will look good now, as well as 5 years in the future. As seen from the picture above, the Stan Smith’s are such a versatile pair that they can even be paired with a suit to inject some casualness into an otherwise formal outfit. My personal favorite has to be the classic (and also most popular) white and green colorway. The Stan Smiths can be found for around $100 online, and in retail stores (when there’s a sale, of course), so they won’t break your bank like an Adidas NMDs would. However, there are some who feel that the Stan Smith’s are too mainstream. To those who feel that way, I personally would say f*ck you! But if you are looking for an alternative to the Stans, your best bet would probably be the Fred Perry Underspin Twill. Not only do they have that clean, minimalist design that you expect from a tennis sneaker, the laurel leaves logo on the shoe do provide some panache to your feet. They retail at around $169, but can be found at the Fred Perry outlet store at IMM for half that price, making them an absolute bargain. Last but not least, every guy should own a pair of dress shoes. Wear them when you aim to dress to impress. They are typically worn with suits/vests, but can also be worn with formal shirts and trousers. For some reason, I realized that most guys know next to nothing about dress shoes, so I’m gonna give 3 quick tips about how to buy a good quality dress shoe. Never buy faux leather dress shoes. Even though they may be cheap, they are crap and not worth the money. Always look for 100% full grain leather shoes. (If you have no idea what full grain leather is, read my previous article on Watches under 300). The best shoes have their uppers, inner lining and sole made out of 100% full grain leather. Those are the keepers. Avoid cemented construction shoes. For the uninitiated, dress shoes are generally constructed in 3 ways: cemented, blake-stitched, and goodyear welted. I won’t go into the specifics of each here, but know that cemented construction shoes are generally the lowest quality of construction available, as it means that the sole of the shoe is simply glued to the upper of the shoe, making the shoe much less durable overall. With regular use, the adhesive that holds the sole of the shoe to the upper will weaken. As such, look for blake-stiched constructed shoes, or goodyear welted if you have cash to splash. Oxfords over brogues. Yes, I ripped that off Kingsmen, but I stand by the maxim. If you only have space for 1-2 dress shoes in your collection, always go for Oxfords first. Oxfords, with their clean and minimalist look, are generally seen as the more formal shoe. Brogues historically are known as workmen shoes, and as such are seen as less formal than their Oxfords counterparts. Always go for oxfords first – when you have about 2-3 oxfords (preferably one black and one brown) in your collection, brogues can then be your next step. If you’re reading this and wondering what on earth are oxfords and brogues, please use Google to educate yourself. You guys know I love local, Singaporean brands, so I’m gonna recommend two homegrown brands here. First up, Earnest & Collective. Earnest & Collective uses 100% full-grain leather in the upper and lining of their shoes, making sure that their shoes not only age well, but remain comfortable as time goes by too. Furthermore, their shoes are hand-colored, giving their shoes a more luxurious look. Their only downside is their use of cemented construction, as well as rubber soling on their shoe. However, they do offer free resoling (once), and at their price point ($99 when you buy during their end-of-month sale), even if they break on you it would not cost much to buy a replacement pair. 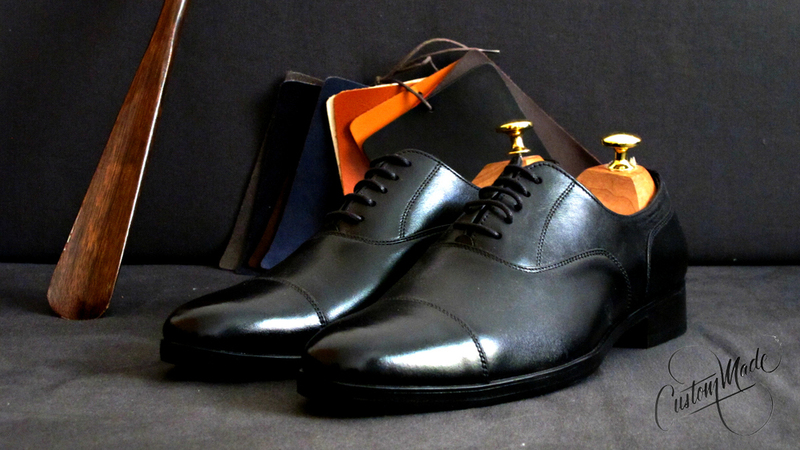 My next recommendation, CustomMade shoes, offers a bespoke shoe experience at (in my opinion) an unbeatable price point. These shoes are custom made to your exact specifications, and you can customise the style/colour of your shoe! They actually require you to go down to their showroom to do a series of tests, so as to ensure that the shoe you get will be the perfect shoe for you. You can read more about the CustomMade process at this link. Their blake-stitched shoes are going for a promotional price of $250 currently, while their goodyear welted shoes costs just $30 extra at $280. For that price point, the construction, artistry, and bespoke nature of the shoe makes CustomMade an amazing value proposition. Previous articleFeature: Best watches under $300! Next articleFeature: Best Watches under $100!